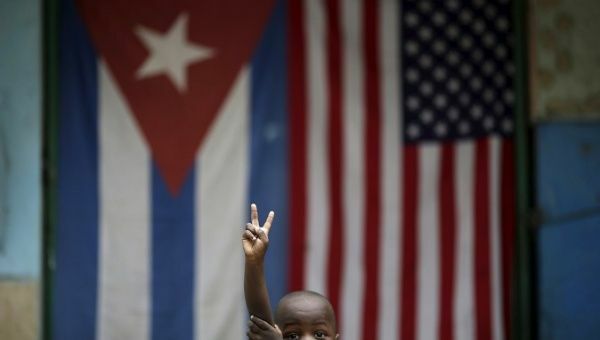 A bill to repeal the trade embargo against Cuba was introduced by a group of U.S. Senators today, looking to normalize relations and undo what the sponsoring Senator called the “backwards” vision of U.S. President Donald Trump. “With his recent imposition of new restrictions, President Trump presented one vision of that relationship – one that looks backwards and reverts to a failed policy of isolation that has done nothing to improve the lives of the Cuban people and has harmed the American economy,” Senator Ron Wyden of Oregon said while presenting the bill to the Senate Committee on Finance. The bill would repeal all the major existing laws which impose restrictions and sanctions on Cuba, including the Helms-Burton Act and the Cuban Democracy Act. Normal trade relations would be restored in their entirety. Although the administration of former President Obama took steps to normalize relations, many key restrictions and laws which restricted U.S.-Cuban trade were left untouched. Current President Donald Trump recently undid the small gains made toward normal relations by imposing a new round of restrictions. “It is well past time for the United States to abandon the failed policy of trying to isolate Cuba,” Wyden said. The U.S. Senator emphasized that the embargo policy also “shuts out” U.S. exporters from a “natural market” for U.S. industry, particularly in agriculture. “This bill presents an alternative vision – one that looks to the future and at fostering the exchange of ideas and commerce between the two countries,” Wyden said. Six other Senators co-sponsored the bill in addition to Wyden, including Patrick Leahy, Dianne Feinstein, Richard Durbin, Tom Udall, Patty Murray, and Jeff Merkley.